Do you want to manage your African country related with China or Middle East? What topics and stereotypesAfrican think about Chinese, and about Arab? Do you have good ideas for improving your African country? if you are a good thinker, visionary, hard studious, you can become our blogger in this to win money together. Are you en expert about Projects to Africa, or new loans systems? In revolution times, the tech revolutionary trends emerge many times even more from good Ideas than from high Tech. Contact us here, info@sylodium.com for being our blogger managing this bilateral trade news between Middle East – Africa. Bilateral trades focused to new tech. A to B, about this, from here to there, in this way, this pharse is our URL, the first that Google recognizes. if you think you can be our collaborator to participate in virtual business, specially in projects towards Africa, small, médium or big projects, in new agro or tech business. (Institutions and media need us). IT’S a $1 trillion project that could redefine global trade and mark a tipping point for a new Asian century. But despite the huge ambition and vast scale, relatively little is known about how China’s grand plan might work in practice. With Aussie companies being told to get in on the action before it’s too late, here’s what you need to know about the global project that could redraw the map. 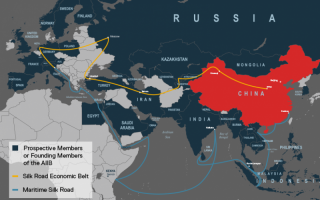 China is working to develop a vast network of railways and ports dubbed the “Belt and Road Initiative” (BRI). 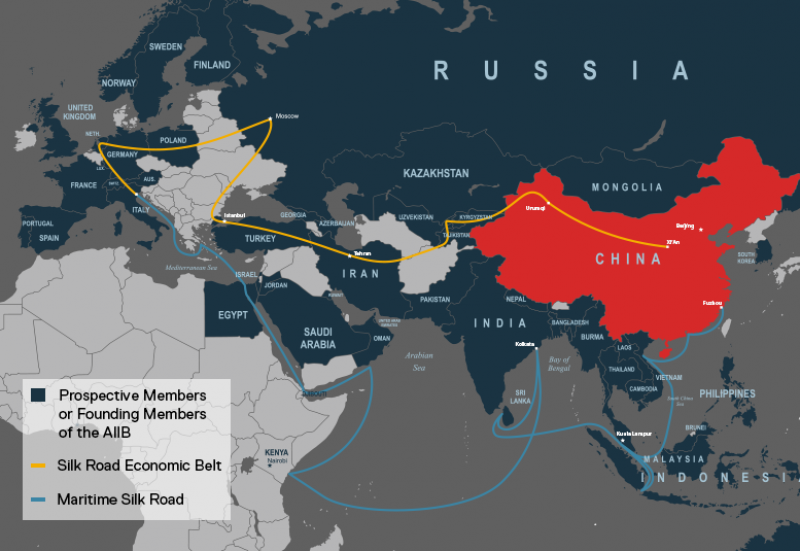 That includes the “Silk Road Economic Belt” over land and the “21st Century Maritime Silk Road” which is a series of ports and railways. Combined, the plan will include more than 60 countries and 4.4 billion people, passing through Asia, Europe, Africa and the Middle East, covering up to 40 per cent of global GDP. It’s expected to cost at least $900 billion, with estimates up to three times that. China has already pledged more than $100 billion and it will be completed in a series of bilateral projects — such as the $46 billion China-Pakistan economic corridor, or a $5.2 billion railway that will eventually link Laos, Thailand, Malaysia and Singapore. The Chinese Embassy said the “overall vision” is to build a “road of peace, prosperity, opening up, innovation and civilization” that is open for collaboration with other countries. It’s inspired by the ancient Sik Road, it said and over the next five years, China will spend up to $1 trillion in participating countries. SOAS China Institute expert Dr Yuka Kobayashi said while Chinese President Xi Jinping’s 2013 speech on the plan has seen it hyped as a “new strategy”, it’s actually a “continuation” of an old idea to assert Chinese political and economic power. What the project will mean for Australia remains to be seen, with local companies currently encouraged to explore how they might be able to get on board. A working group between the two countries has been established, with expert Jean Dong saying in May that Aussie companies need to stop being a “bit arrogant and domestically focused” in order to get a piece of the “hot market” in China. The project is already being praised in Serbia where China has loaned the country $8 billion to build bridges, highways and roads to bring goods into Europe. Earlier this year, Hungarian Prime Minister Viktor Orban also said the “old model for globalisation has become obsolete” and the East was the new “engine room” for global growth. Despite the enthusiasm, Dr Kobayashi said it’s important to question how “realistic” and “economically viable” the plan is, given the potential for “sensationalist” figures.